Should We Be Freaking Out About Employee Engagement? In a world where company lifespans are decreased and employees are not staying with organizations as long as they used to, a new reality is emerging in the employer and employee relationship. We will dive into this new reality at Harvest, Waggl’s signature leader retreat, and we have invited Steve Cadigan to kick off the gathering. Steve will unpack this critical topic and set the stage for an amazing two days in wine country aligned around Employee Voice. Steve is a savy veteran in the talent space and we are excited to welcome him to help us shape today’s talent landscape. Harvest will be an experience where we discuss, challenge, and really work together to activate Employee Voice in our workforce to solve the engagement problem. Top industry leaders and strategic HR executives will come together to learn how to drive high performance through engagement. Harvest won’t be a time where we focus on freaking out. Instead, together we’ll explore strategies to boost engagement leading to superior business outcomes. And, how to practically elevate Employee Voice to maximize the employee experience, foster healthy organizational cultures, while also supporting the bottom line. Attendees will feel connected and inspired by the spirit and wisdom of world class speakers by participating in authentic dialogue together during two days in wine country. In addition to addressing the engagement problem, Steve will help us think about the opportunities and challenges we face with the “seismic changes that are shaping a new reality of what careers mean, what a job means, and, most importantly, what it takes to lead today.” These changes Steve alludes to are those HR leaders are all too familiar with. “In the past 80 years the average lifespan of a company has dropped from 33 years to about 15. More companies are falling out of the Fortune 500 at a faster rate than ever before every year. Tenure around the world is down significantly. 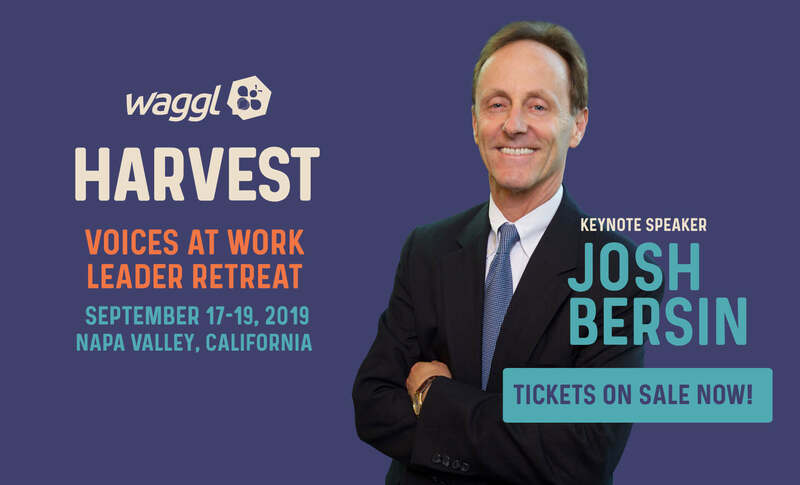 Join Steve at Harvest to hear him elaborate on the state of engagement and how organizations can start to radically improve their organizations. As Founder of Cadigan Talent Ventures LLC, a Silicon Valley-based talent strategies advisory firm, Steve helps organizations develop winning talent solutions. Steve’s specialties and recent speaking topics include: the future of leadership and why leading in the digital economy requires a new set of skills; the future of work; the future of recruiting; building a winning organization in the digital era; change management for high growth companies; acquisition integration, converting culture into a competitive advantage; leading and scaling in hyper-growth; IPO transitions; and strategies for retaining and attracting the very best technical talent to elevate business performance.